Comtel GSM Remote Control Application has been designed to provide communication and remote control to a CS Siren or a Group of Sirens using GSM network. 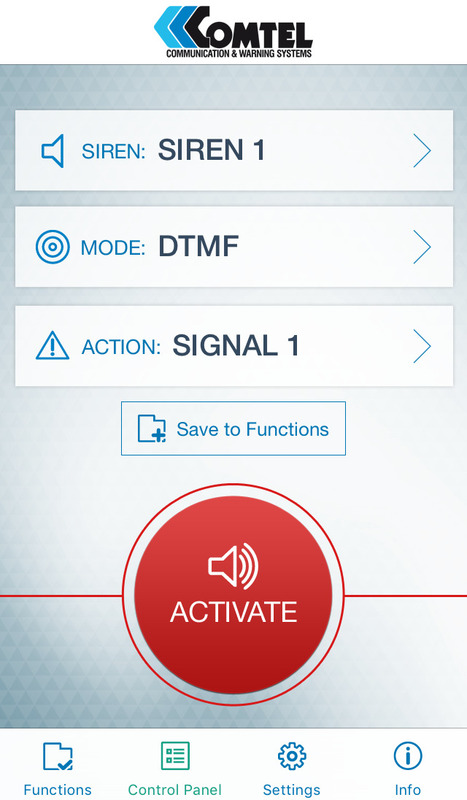 The application can send SMS, DTMF packets and can also perform Live Audio announcements via phone calls using GSM Network. •Store Siren or Group IDs. •Store up to 16 different warning signals. •Store up to 239 different digital messages. 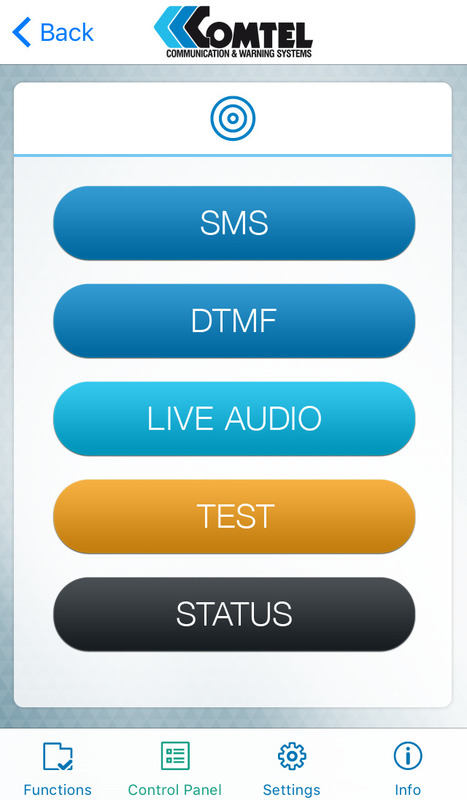 •Live Audio calls (Public Address only by decoding DTMF packets). This application requires GSM Siren Remote Controller to be installed to your Siren network.